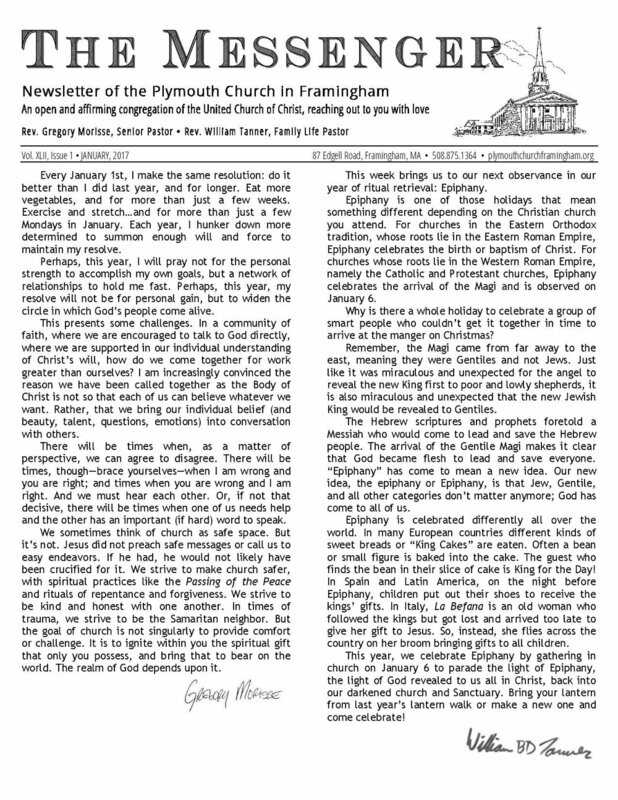 The Plymouth Church publishes and mails its monthly newsletter, The Messenger, to all our members and friends. The deadline is the fourth Monday of every month. Visit our Contact page to sign up. In addition to publishing and distributing our monthly newsletter, The Messenger, The Plymouth Church issues a weekly email every Wednesday, all year long, to keep our members and friends informed of the latest news, events, and opportunities. Join our mailing list. Can't make it to worship? Or maybe you just need a reason to pray during the week? We can deliver a Daily Devotional to your inbox every morning, Monday-Saturday. Sign up here. Reverend Morisse maintains a Tumblr page. You can follow his daily posts here. We also have a member-driven Facebook page, and we invite you to like us.